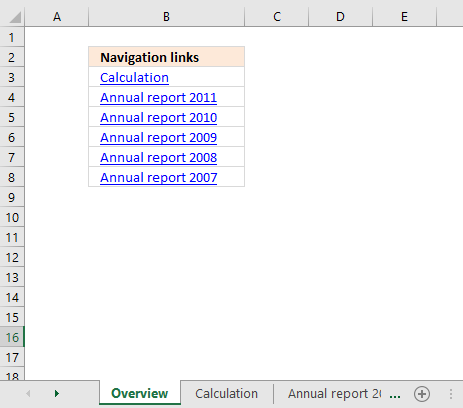 Basically, when I do a refresh of the data in the "pivotdata" worksheet, I need it to recognise the cell is a hyperlink. In addition, when I update the indivital pivot tables, it looks at the data in the "Notes" field and recognise it as a hyperlink. The image below shows a very simple PivotTable containing a few hyperlinks, they look like they don't work if you click on them because they miss the blue underline. 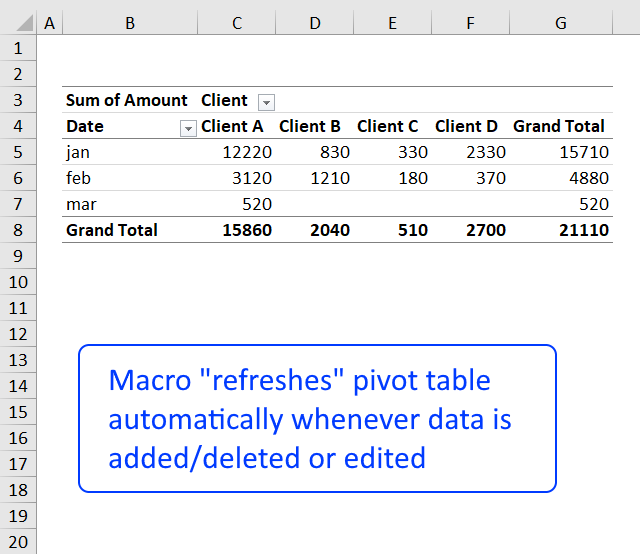 The following macro is an Event macro meaning it must be located in a sheet module. 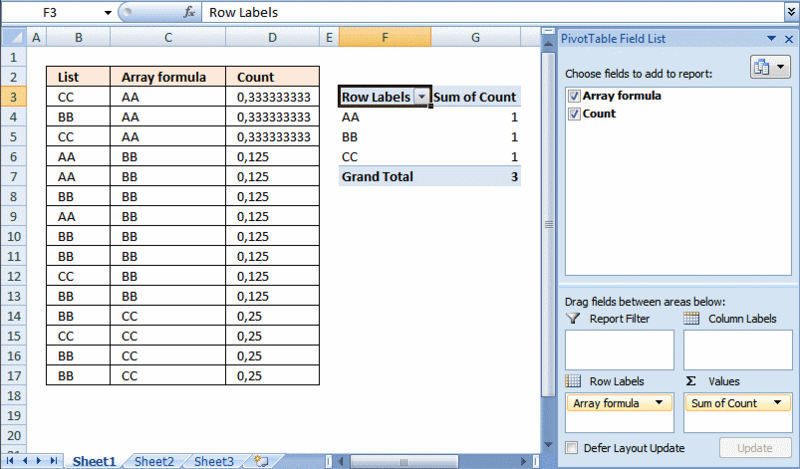 It runs when a selection changes on a worksheet. 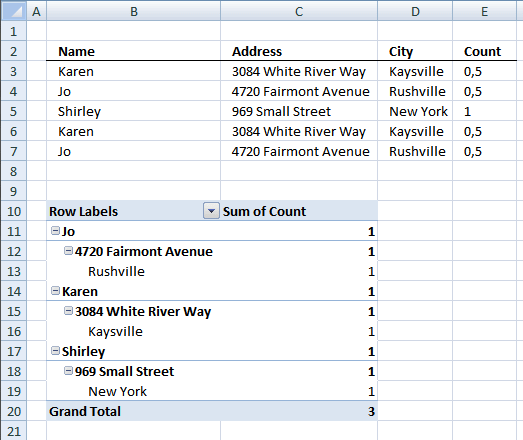 For example, every time you select a cell on sheet1 the macro is executed. 'The Event name must be Worksheet_SelectionChange(ByVal Target As Range), you can't change this. 'Does the cell contain a http or https link? 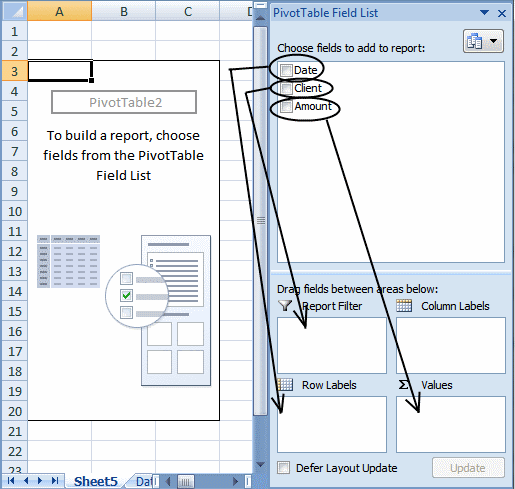 Double click on the sheet in project explorer that contains the Pivot Table. Paste code to sheet module. 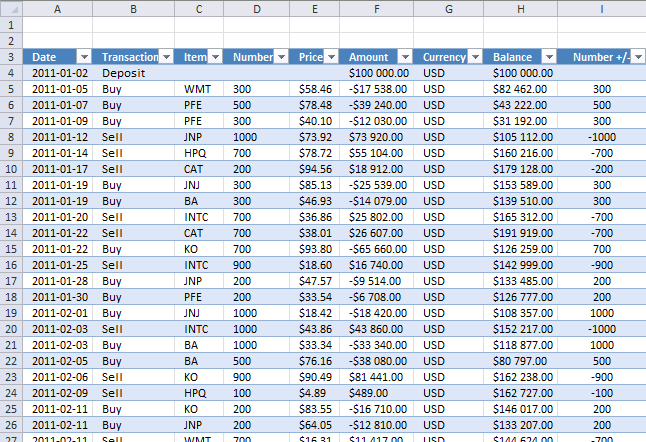 Exit VBE and return to Microsoft Excel. Note, save your workbook with file extension *.xlsm (macro-enabled workbbook) in order to keep the macro in your workbook. That seems to work a treat. 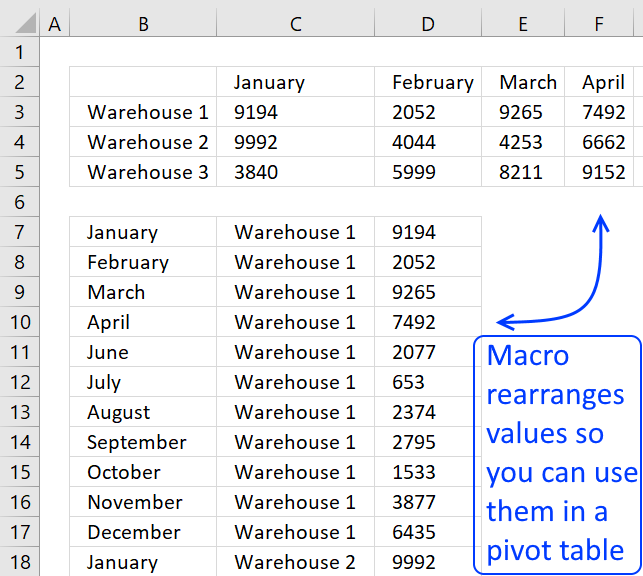 because I have 3 pivot tables on individual worksheets that are not the same worksheet as the pivot data, I have placed the code on each of the pivot table sheets. 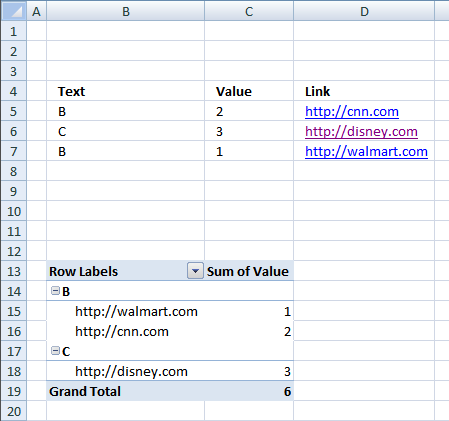 I'm assuming this is correct, as it didn't work on the other pivot table sheets where I hadn't included the code. Any chance to could add comments to the code, so that I can work out what the subroutine is doing ? The help is appreciated and hopefully it will help others as well. I have added comments to the code. This code works for all pivotTables in a workbook. Which line is the problem? 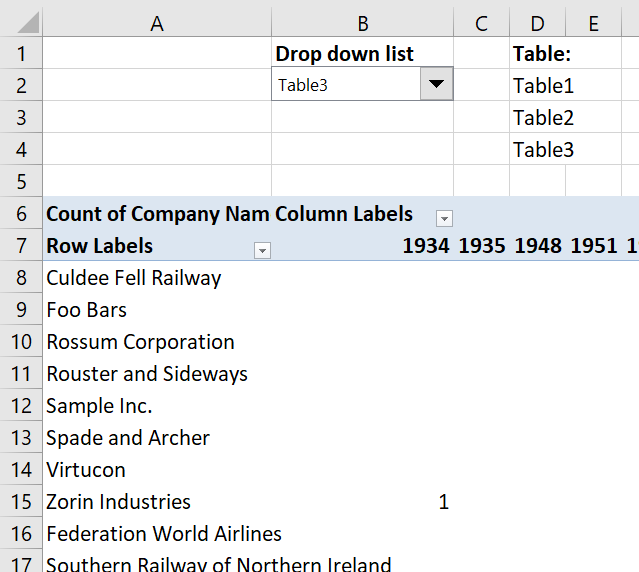 I get the same Error 13, when I select a range of cells. You are right. If you select more than one cell you get an error. The original code works well for me, however, I also get the mismatch error in selecting multiple cells. I tried the new code that you posted to fix this error, but when using it, the follow hyperlink no longer works. Any ideas? I downloaded both files and they work here. 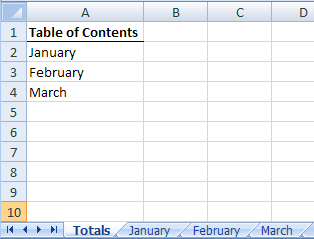 I am using excel 2007. THe link is working fine but if i need to click on the Text or value column and if the hyperlink has to be opened what could be the solution for that?. 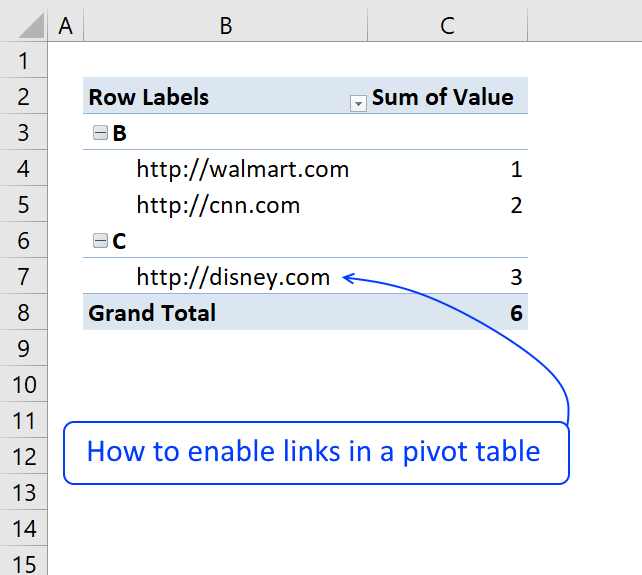 Bolded value is the column number for the links in the Pivot table range. I used this simple code. 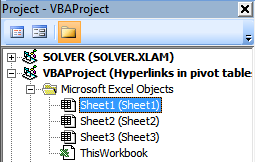 I cannot follow the hyperink i the expanded pivot table. However, the hyperlink i working on the cell that it was created in BEFORE the pivot was collapsed. Any ideas anyone? This was very helpful to me. Thanks for the post.